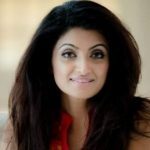 Alka Verma is a media professional in Singapore having an incredible experience in the various field related to media and events. Heading the role of Company Manager for US Production Walt Disney’s LION KING (first Residential Broadway) in magnificent Marina Bay Sands and INCANTO in Resort World Sentosa. 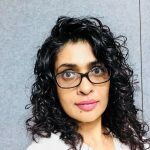 In the role of senior production coordinator (Asia Pacific) with Walt Disney Television Singapore she successfully launched 6 Channels in 6 major languages in India. 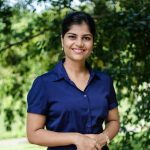 Alka has been associated with Discovery Asia and ESPN sport-star as an Associate Director. Pursuing her passion in filmmaking Alka has produced short films “Flyer” and “Regrets”. Both films have been recognized and received awards at various Film Festivals and have made their marks in International Film Market. Alka has been steadily working in the media industry as a producer for corporate films, TV programs and TVCs. 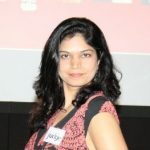 Bringing her diverse experience in marketing and media Alka established herself as an online producer for many Bollywood productions With the diverse range of services includes producing programmes for channels, commercial, trailers, videos, radio trailers for broadcast, cooperate presentation and digital media. Peace Boat is a 30 years old, Japan-based, international, non-governmental and non- profit organization in special consultative status with the Economic and Social Council of the United Nations. Peace Boat works to promote peace, human rights, equal and sustainable development and respect for the environment through the organization of global educational programs, cooperative projects and advocacy activities. The First cruise was organised in 1983 by a group of Japanese university students as a creative response to government censorship regarding Japan’s military aggression in the Asia- Pacific. Over thirty Years Peace boat has organised more than 90 global and regional cruises and had visited over 200 ports of call. 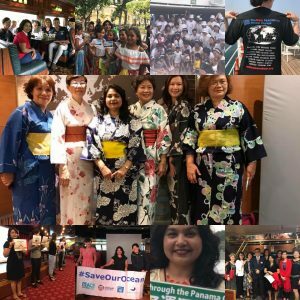 Peace Boat leads and participates in a number of campaigns, advocacy efforts and projects, as part of and in addition to its global cruises, reconciliation and peace-building with partners in Asia, campaigning for the abolition of nuclear weapons in partnership with survivors of Hiroshima and Nagasaki, and training communities in resilient disaster response for a better world. By participating in Peace Boat cruise I play my part to support Peace Boat efforts to realize a more sustainable and peaceful World. 23 ports covered including Yokohama Japan, Singapore, Colombo, Sri Lanka, Passing through the Suez Canal, Piraeus, Greece, Cagliari, Italy, Valencia, Spain and many others. The SDGs were adopted in September 2015 by the 193 countries of the UN General Assembly. The goals, their targets and indicators of achievement were drafted by a UN Working Group in consultation with hundreds of civil society organisations worldwide. Intended to address the perceived shortcomings of the Millennium Development Goals, the SDGs was designed to be more specific, attainable, inclusive and participatory than their predecessors. With the intention to explore the world with a Nobel cause. Life onboard a Peace Boat means the ports of call are not the only place to discover the world around you. Guest Educator-Activists, Academics, Journalist and Artists from around the World are invited on board, music and dance workshops, performances, concerts, exhibitions make the ship a place to discover, engage and enjoy the world with a different perspective. Get closer to Japanese culture with onboard festivals, events and traditional cuisine. It’s a life-changing experience. During the voyage, I witnessed 3 Medical Emergency rescue operation including one loss of life. Enjoyed sightseeing at World Heritage Sites, Explored nature, Visited new cities and discovered the world with a global network of partner organisations with a new perspective. PREVIOUS POST Previous post: 12 Tips to Have a Fruitful Day!